The piano opening is my favorite part of the song, and it honestly mislead me into believing we’d have “Evidence” part two, which wouldn’t have been a bad thing at all. But here we seem to blend “Evidence” with “Brave your truth” and we get this semi-fast-paced, bass-heavy song which is driven entirely by its awesomely catchy chorus. MiKA sounds great as usual, and I love the held “Arigatou”s at the end of the chorus, but again it is the lesser when compared to her other Fairy Tale tie-ins. Still a really good song nonetheless, though. Overall it gets a B+, and I know that seems rather high even after I keep saying that its weak compared to her other songs, but then that should give you an idea of what I think of her other songs. Ahaha. Here’s the gem on the single, and it’s very much like her other songs. A straight-forward rock tune where MiKA sounds excellent–right in her element. This is the kind of song that I want to hear more of from her. Best one on the single. Ok this song is weird, and I never expected to hear this kind of thing from MiKA. It’s cute and just…odd. I mean, the chorus is unbearably catchy, but its still too weird to enjoy even that section of it. I feel like this song could be reserved for Mano Erina or some other Hello!Project soloist, but it feels so out of place for MiKA. So yeah, onto the next song. So we have what sound like 8-bit-esque synths playing at different periods of the song, and I kind of wish they were eliminated. If we just kept this as a traditional rock song, it would sound a lot better and it could probably be compared to “Nightmare” a little more than it can now. It’s a decent song, but those synths really ruin it, and MiKA sounds a bit different here. Oh well, it’s only 3:26. 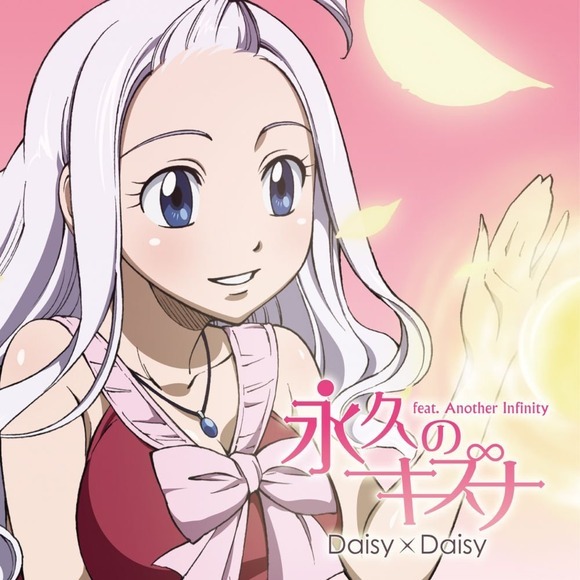 This entry was posted in Daisy×Daisy, Reviews. Bookmark the permalink.